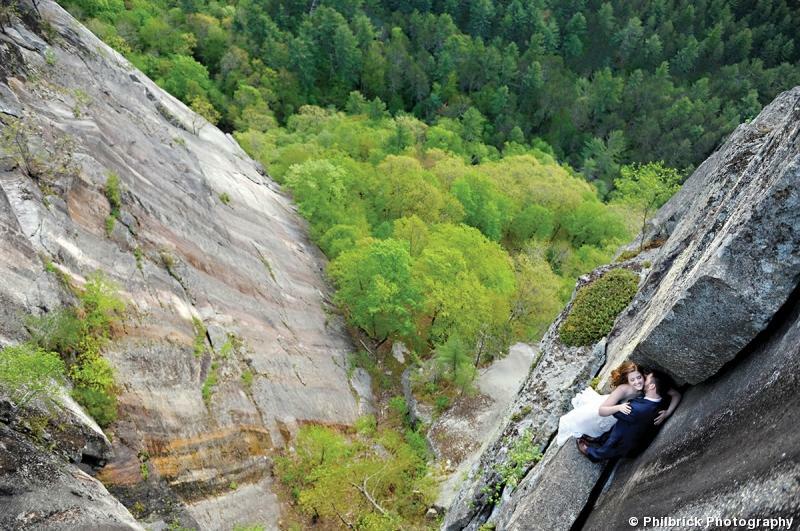 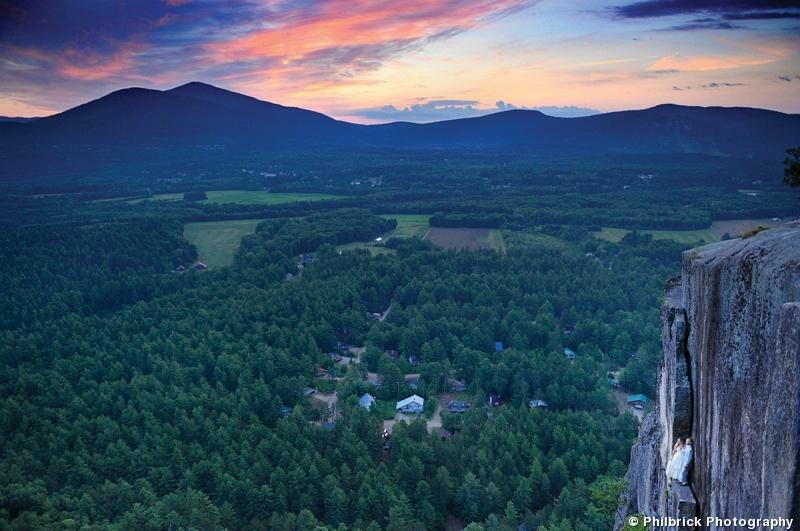 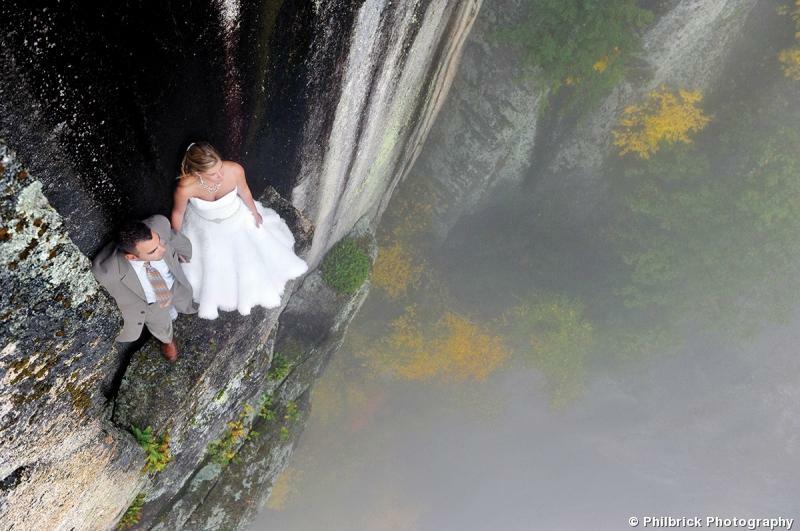 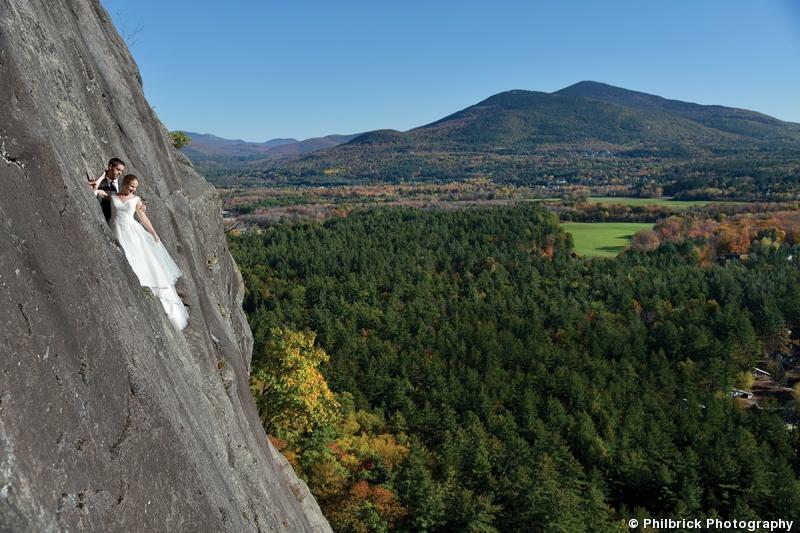 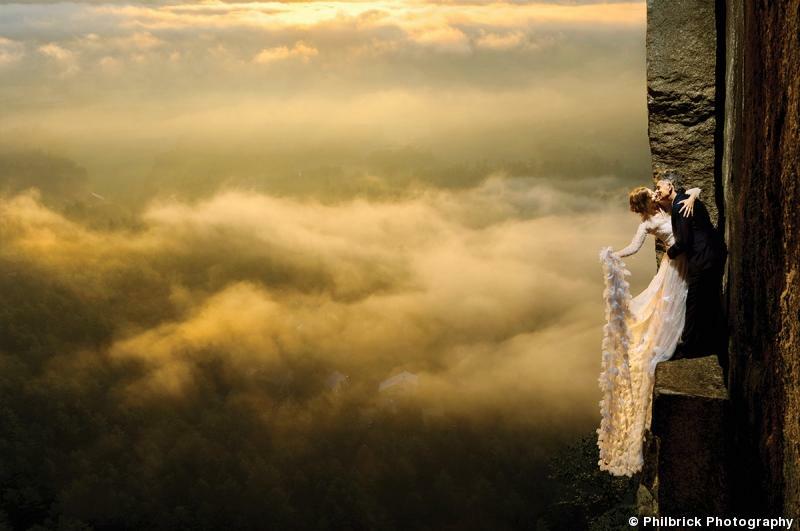 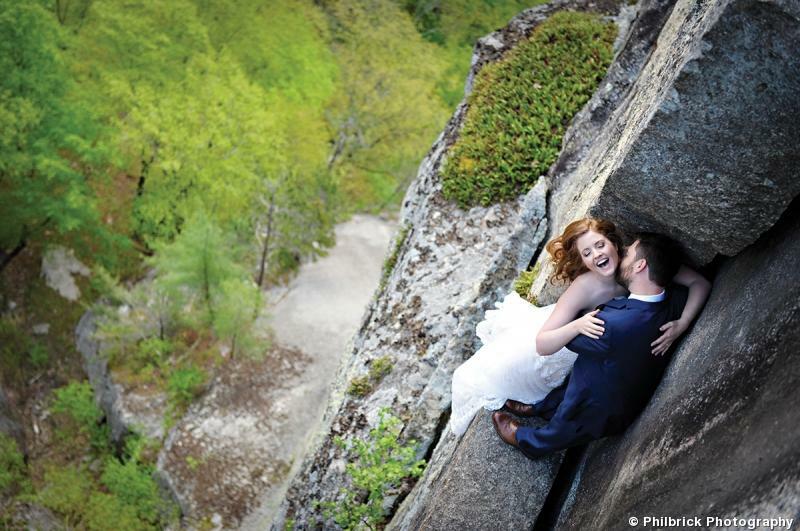 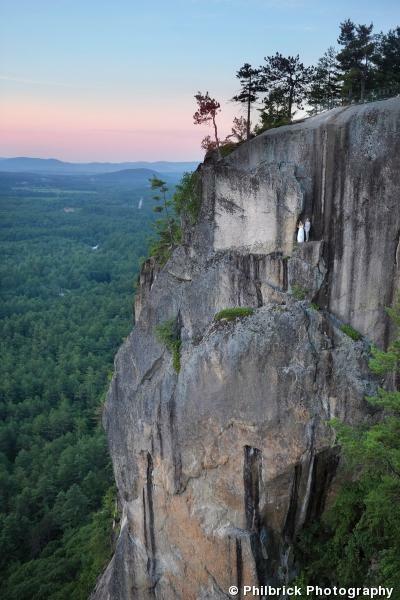 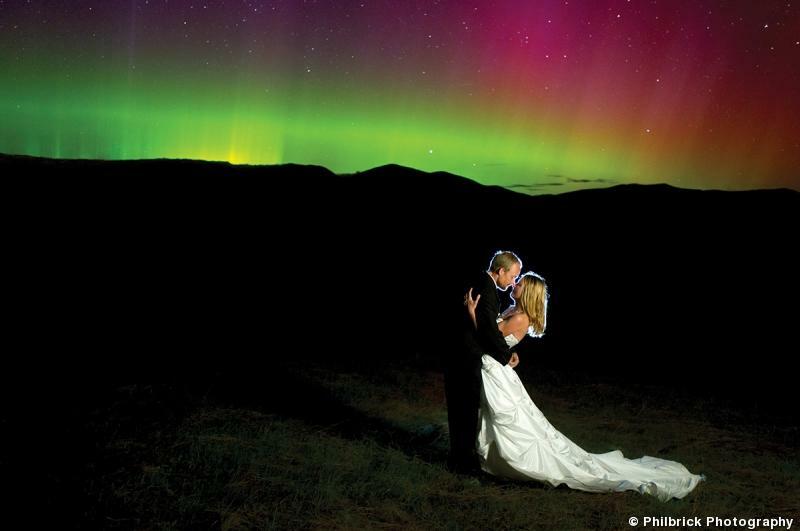 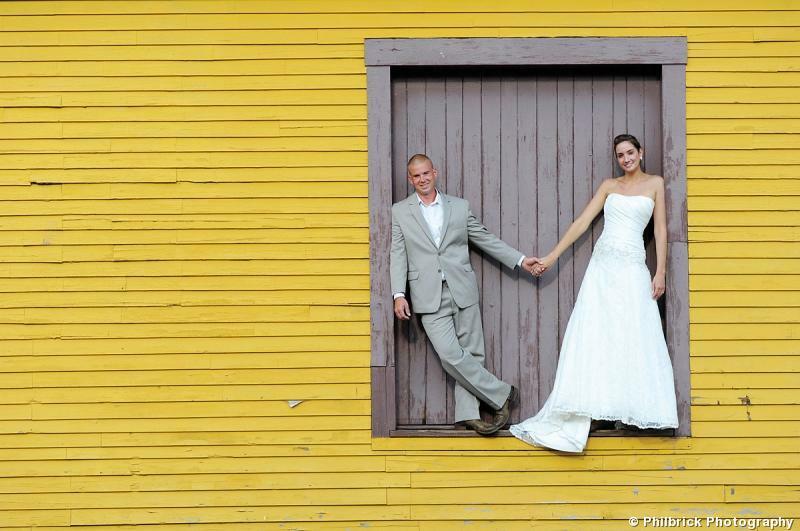 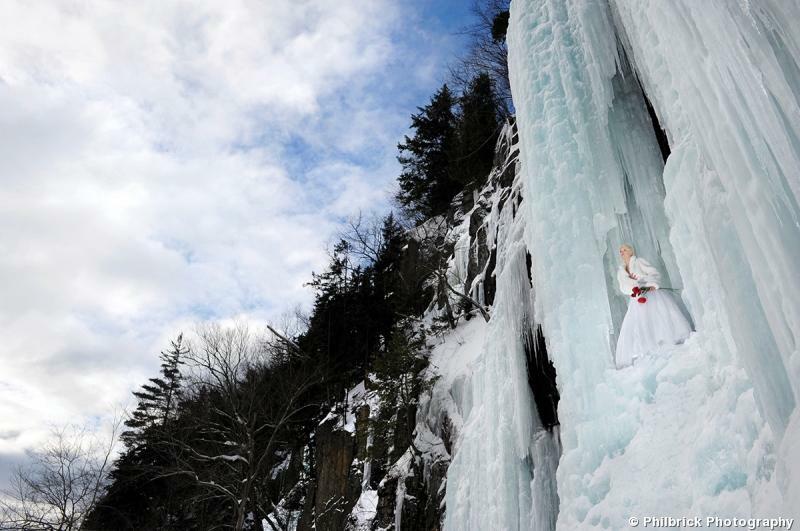 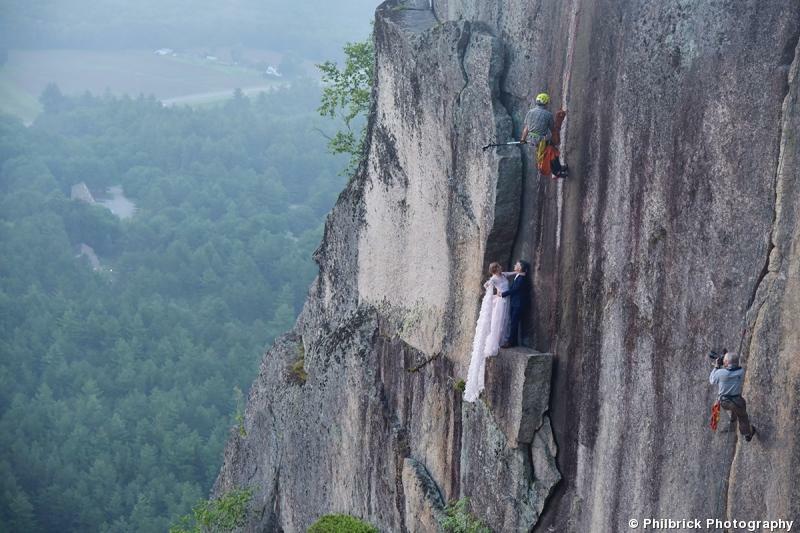 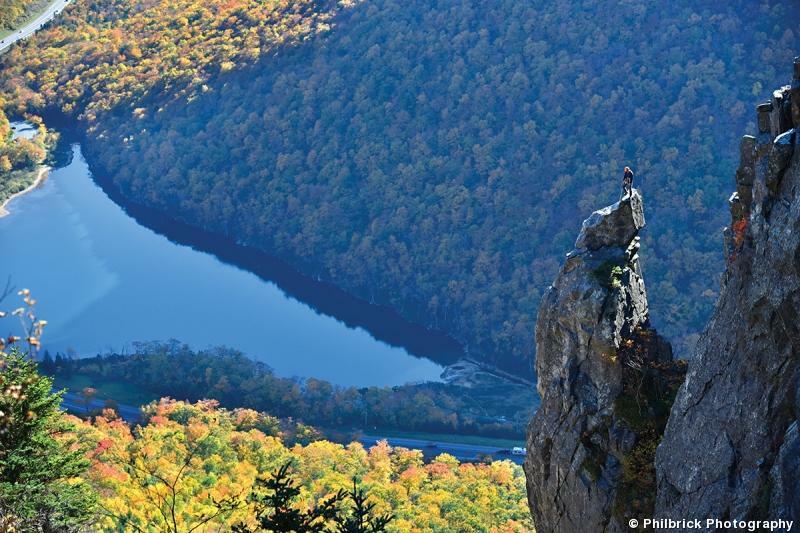 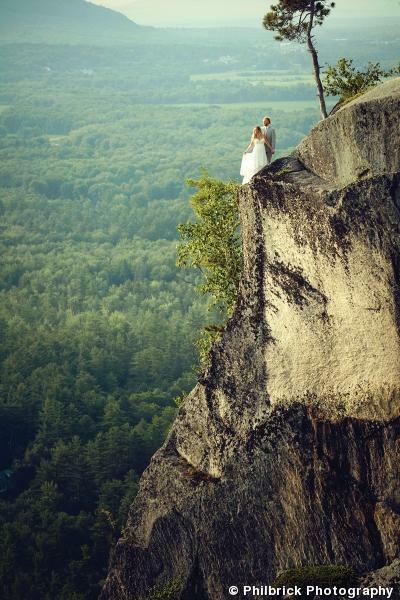 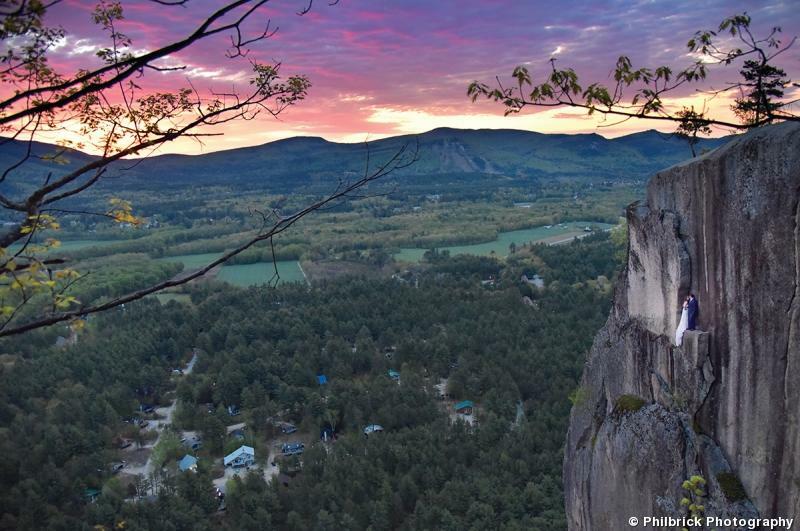 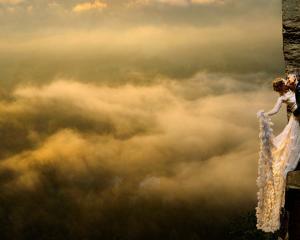 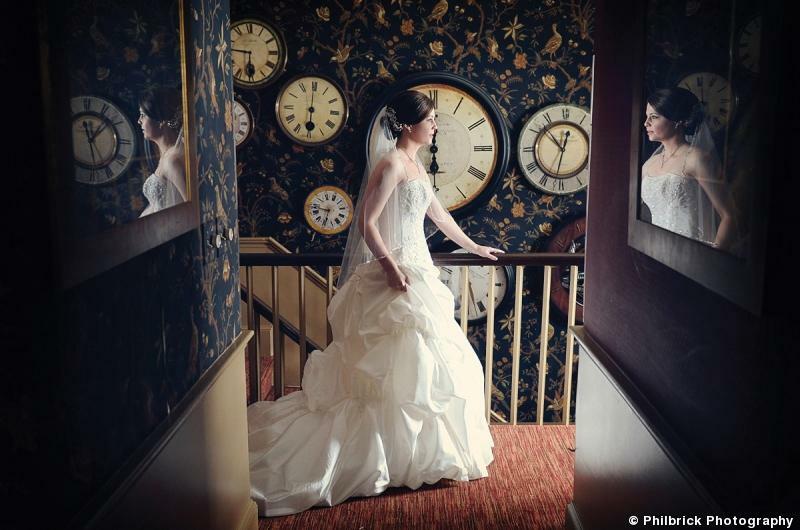 Former climbing guide and current wedding photographer Jay Philbrick has made a name for himself with his cliffside wedding portraits at New Hampshire's Cathedral Ledge. 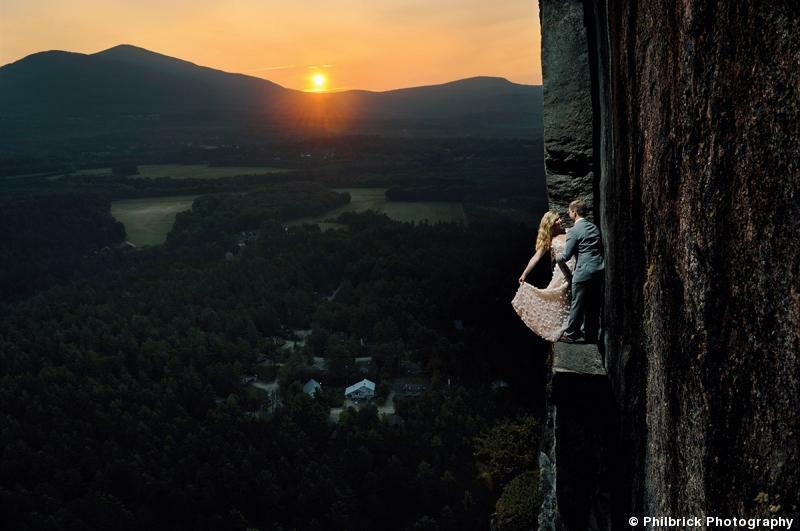 Although the photos are jawdropping, the photo sessions are perfectly safe, he says, thanks to the advanced expertise of his mountain guide partner who anchors the couples to the rockface. 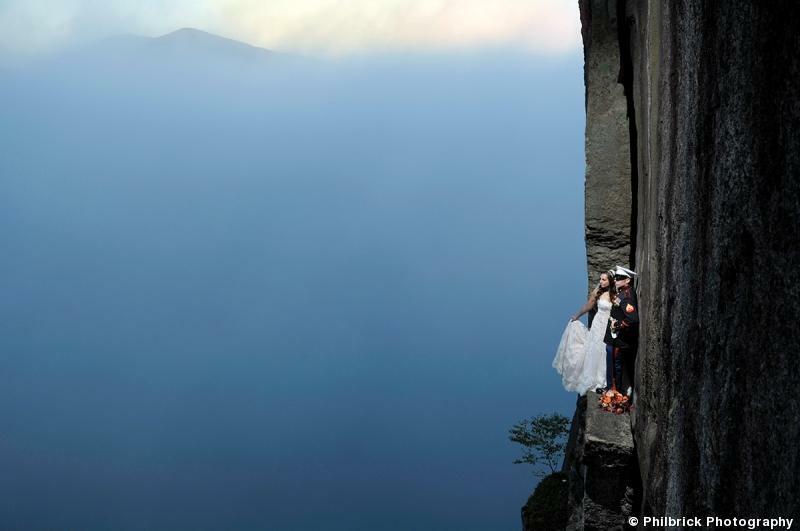 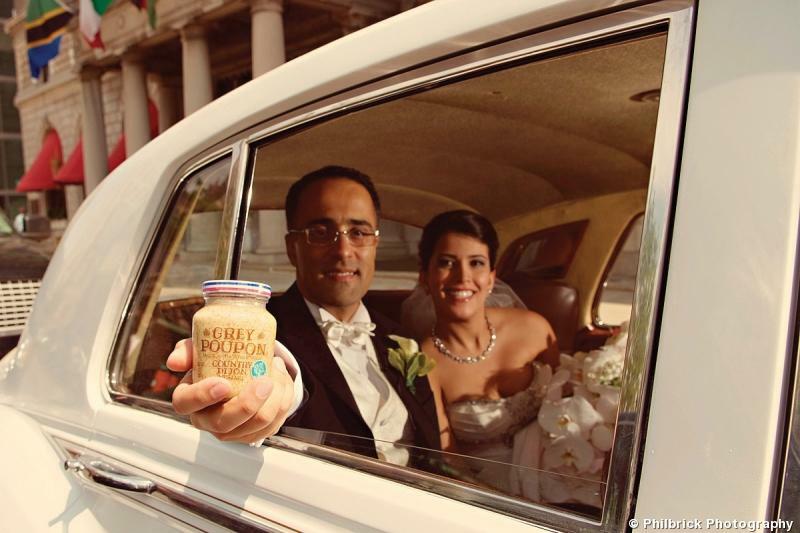 “They are way safer during the process of the photo shoot than they are driving to and from the cliff," Philbrick says. 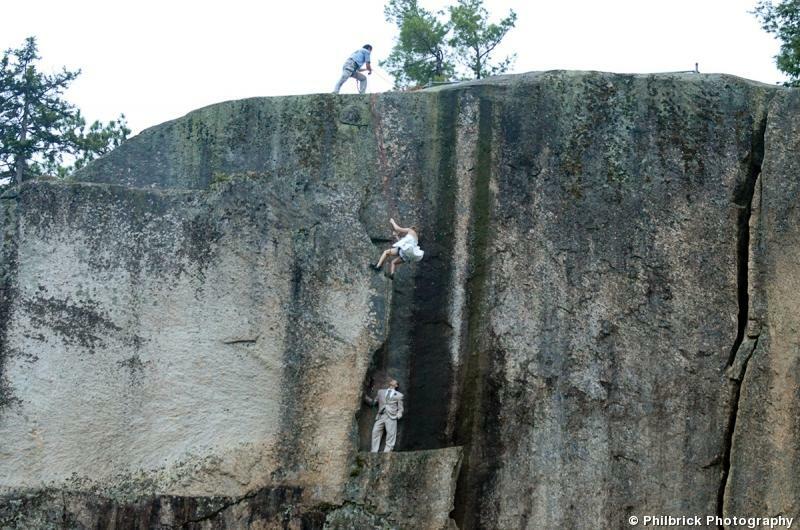 "It’s a matter of perceived danger versus actual danger, and people can’t accept that what they are doing on the side of a cliff is a reasonable thing to do because they have such an aversion to heights." 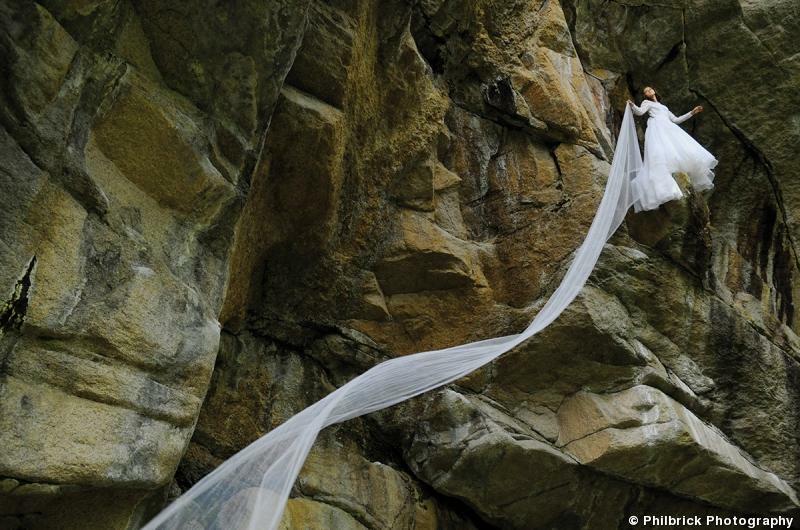 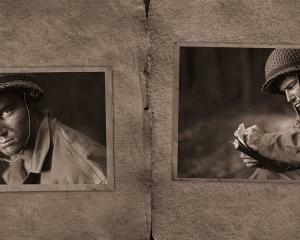 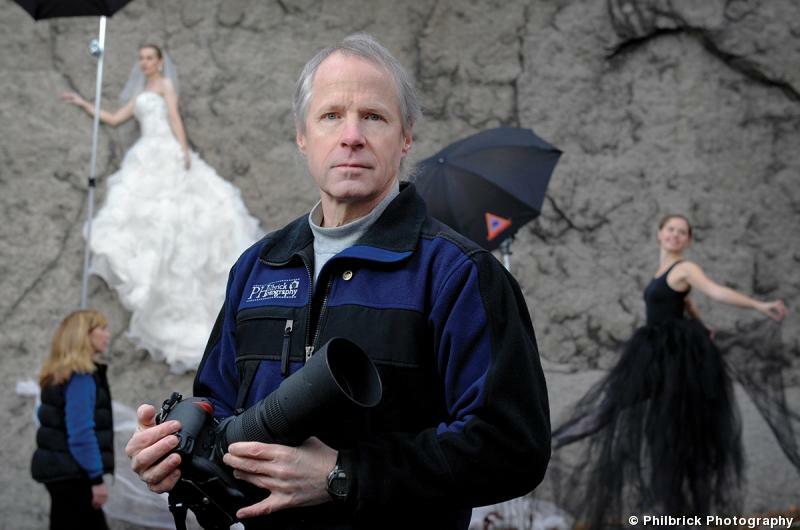 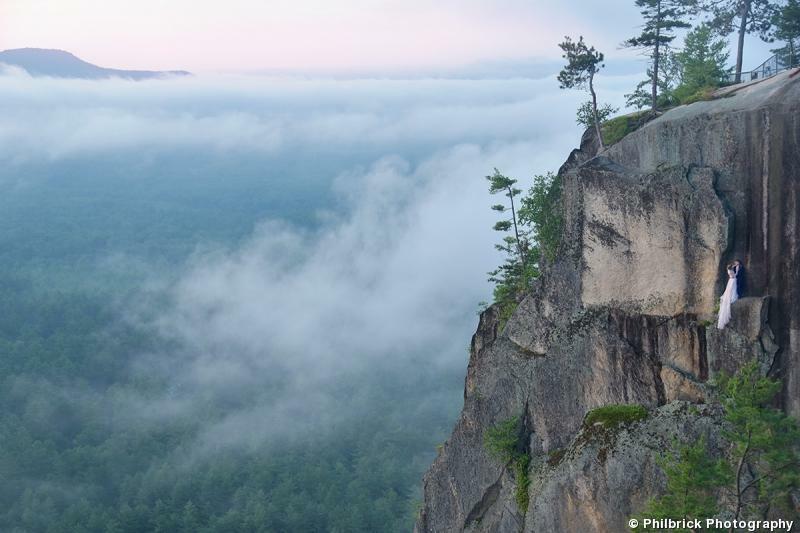 RELATED: Learn more about Jay Philbrick's cliffside portrait sessions. 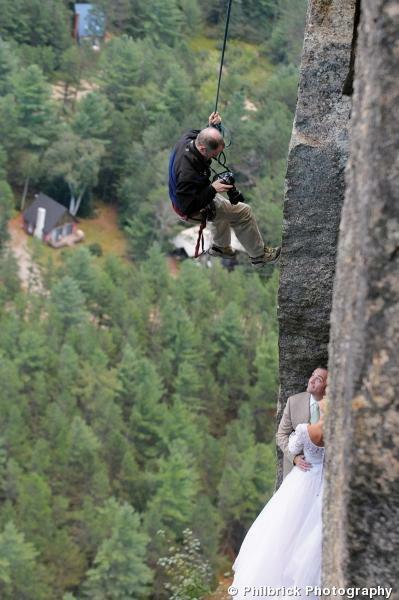 And see some behind-the-scenes shots.